The following is a complaint sent to the BBC about its description of Gilo as a Settlement. It is published on the Honest reporting web site page about complaining to the BBC. The authors make clear the wicked stupidity of journalists who are so sloppy about Israel! Having lived in the Jerusalem Suburb of Gilo for 23 years now, this is by no means the first complaint that we have made to the BBC about insisting on calling it a 'settlement'. Before moving to Israel in 1985 we were residents of the beautiful Warwickshire town of Royal Leamington Spa. We mention this because unlike the picture conjured up by the word 'settlement', many similarities exist between Gilo and Leamington. Firstly the population of both is approximately 40,000, secondly both have wide tree-lined roads, beautiful parks and shopping centres. A British journalist who visited our house some years ago described herself as being in shock when she arrived in Gilo as she said she had expected a few half-built houses, caravans and dirt roads, not the beautiful suburb of our capital city that it is. When we asked her from where she had got that image she replied, "The BBC always refer to it as a settlement"
There is no doubt in our minds that this is deliberate, by describing the recent stabbing to death by a Palestinian terrorist of an 86 year old man as taking place in the 'settlement of Gilo' we have not the slightest doubt that you did so in a deliberate attempt to trivialise the incident by leading the public to imagine the area to be an illegal outpost (incidentally as you also know perfectly well Gilo is built on land that was legally purchased by a consortium of Israeli businessmen in 1948) and so diminishing the impact on your listeners, of the hideous crime that it was. How did the media report building plans for a Jerusalem suburb? Israel has recently come in for international criticism over the approval for construction of 900 housing units in the southern Jerusalem neighborhood of Gilo. Irrespective of one's views on this policy, it is the responsibility of the media to report on Gilo accurately and with the relevant context. So how did some of the media refer to Gilo? The Christian Science Monitor could not even decide on Gilo's location, introducing it as a "Jewish settlement in East Jerusalem" in the first paragraph of the story and then referring to the "area in southern Jerusalem" in the next. The prize for the worst inaccuracy, however, goes to The Times of London, whose staff editorial spoke of "Israel's decision to go ahead with new settlements around Jerusalem." Of course, Gilo is certainly not new and, while some existing areas are being developed within existing boundaries to allow for natural growth, there are no plans whatsoever on the part of the Israeli government to create any new settlements in the Jerusalem region. Is this symptomatic of the journalistic laziness surrounding the entire issue of settlements and precisely what these actually refer to? After all, many media outlets do nothing to dispel the largely mistaken image of all Israeli settlements as a collection of isolated homes on windswept hilltops. In the case of Gilo, this is as far from the truth as could be possible. And who then is influencing the language of those international politicians who are critical of the Israeli building plans? Are the media responsible for creating a skewed impression of Gilo due to past indiscretions regarding the language of settlements? 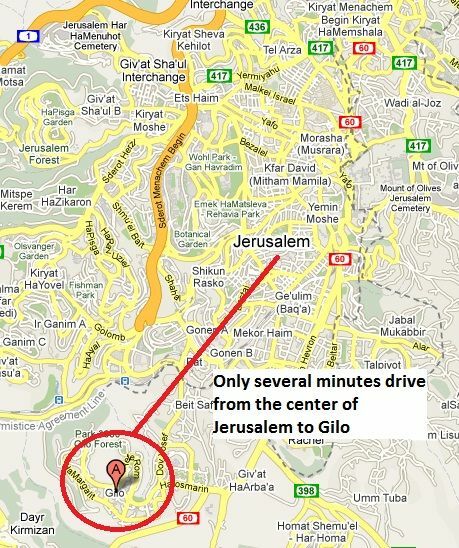 The reality is that Gilo is very different than the outposts in the West Bank. It is not in east Jerusalem as widely reported. It is a Jerusalem neighborhood with a population of around 40,000. The ground was bought by Jews before WWII and settled in 1971 in south west Jerusalem opposite Mount Gilo within the municipal borders. There is no inference whatsoever that it rests on Arab land. The current building approval was not a deliberately provocative political decision by Binyamin Netanyahu as reported in some media. The plan was initiated a long time ago by the Israel Land Administration. Since Gilo is an integral part of the city, the approval was given by Jerusalem's Construction and Planning Committee and, as Jerusalem mayor Nir Barkat said in a statement released by his office, "Israeli law does not discriminate between Arabs and Jews, or between east and west of the city. The demand to cease construction just for Jews is illegal, as in the US and any other enlightened place in the world. The Jerusalem Municipality will continue to enable construction in every part of the city for Jews and Arabs alike." The Washington Post, at least, was more nuanced in its language, describing Gilo as a "disputed neighborhood of Jerusalem" and providing a map to put Gilo in some geographical context. 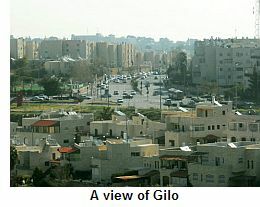 CNN also referred to Gilo as a "disputed neighborhood on Jerusalem's southern outskirts". Indeed, CNN is one of a number of media outlets including The New York Times, Washington Post, Associated Press, Boston Globe and CBS News, which have all, in the past, recognized the particular geography of Gilo, referring to it as a "neighborhood."